Wenda Li has been in the arboriculture industry for over 25 years. She holds a degree in Forestry and was the first female production climber for the City of Toronto in the early 1990’s. She has worked extensively within the private sector as a climbing arborist, job estimator, and a consulting arborist. 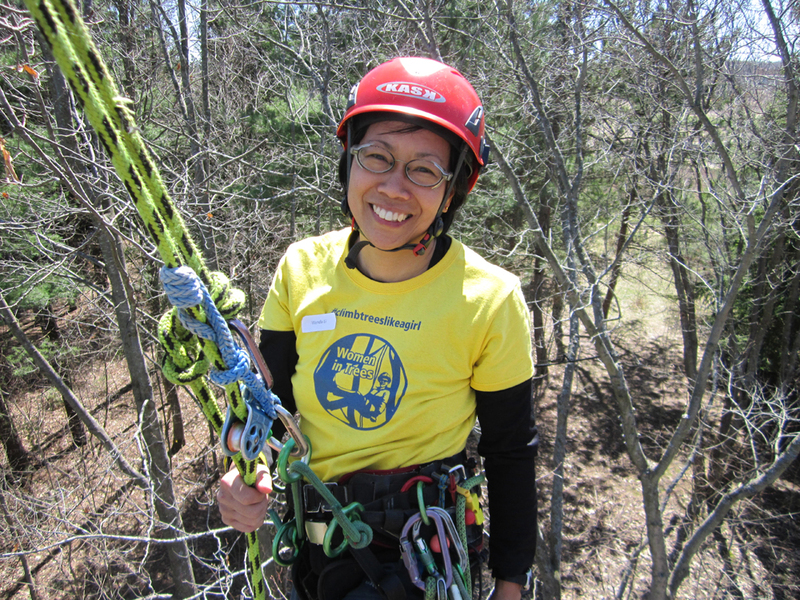 Wenda has been the Ontario Women’s Tree Climbing Champion for 6 years and in 2002 she was the International Women’s Tree Climbing Champion. Wenda has a passion for sharing knowledge and empowering women. She has been a past instructor and technician at Humber College School of Arboriculture and regularly conducts pruning seminars at Lee Valley Tools. In 2011 and 2015 Wenda had an opportunity to teach and train in Hong Kong and to speak at the National Botanical Gardens in Singapore. She has been a strong advocate for women in non-traditional occupations and has spoken at many high schools and women’s groups. Most recently, Wenda was awarded the Special Achievement Award which recognizes her contribution to arboriculture within the Ontario Chapter of the International Society of Arboriculture. “I have carried my passion with trees ever since I was a teenager. That sense of wonderment still lives inside me whenever I see a majestic tree or realize the complexities of the tree’s survival within the urban infrastructure. I am grateful to be in an industry that allows me to appreciate how remarkable trees are”.